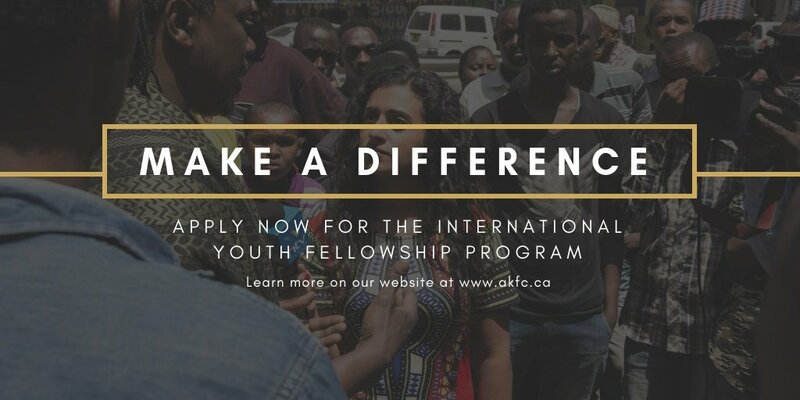 Apply for Aga Khan Foundation Canada’s International Youth Fellowship Program 2019. AKFC is searching for individuals who can demonstrate a commitment to international development, are driven by the desire to make a meaningful change in the world, and are ready to apply their skills and experience to a challenging overseas internship. Click here to apply. For more information, visit Aga Khan Foundation Canada. This prestigious Fellowship is a launching pad for diverse careers in the government, non-profit, media and finance sectors. It offers a training program and an eight-month overseas placement to recent university graduates and young professionals under 30. The Fellowship offers an international development training program and an eight-month overseas placement to recent university graduates and young professionals who are 30 years of age or younger. Each Fellow spends eight months in Africa or Asia working with agencies and partners of the Aga Khan Development Network (AKDN), one of the world’s largest and most respected international development agencies. There is no flexibility on the eligibility criteria, and any applications not meeting the requirements will automatically be disqualified. For more information, visit Aga Khan Foundation Canada.